King One is a private first floor room, this is our only room located on the first floor. Large bright windows with excellent light.. Private Bathroom with tub, nice seating area. 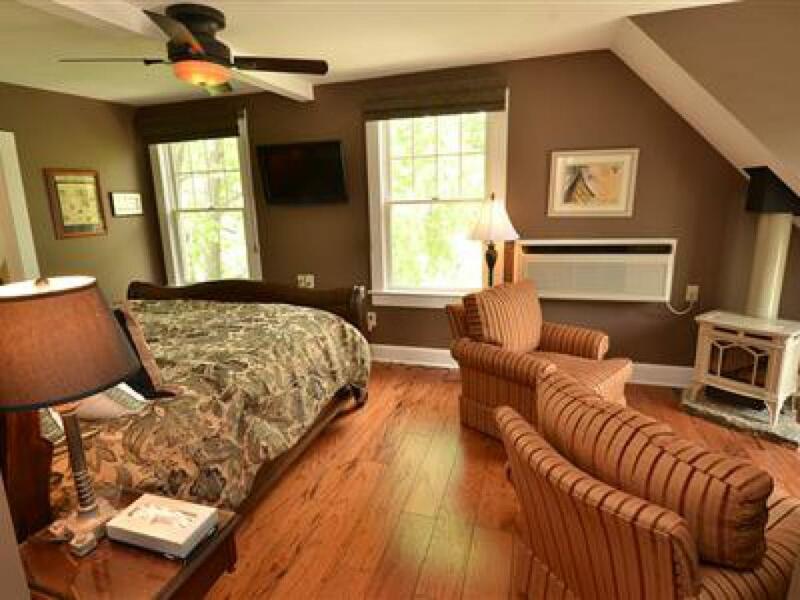 King Suite 3, also known as the Nellie Littlefield Suite is on the second floor of the Inn and has the largest private deck at our Inn. King Suite #3 has a brand new bathroom includes a walk in 7 foot x 3 foot tile shower with over 8 foot ceilings, bench, wand and rain shower head. 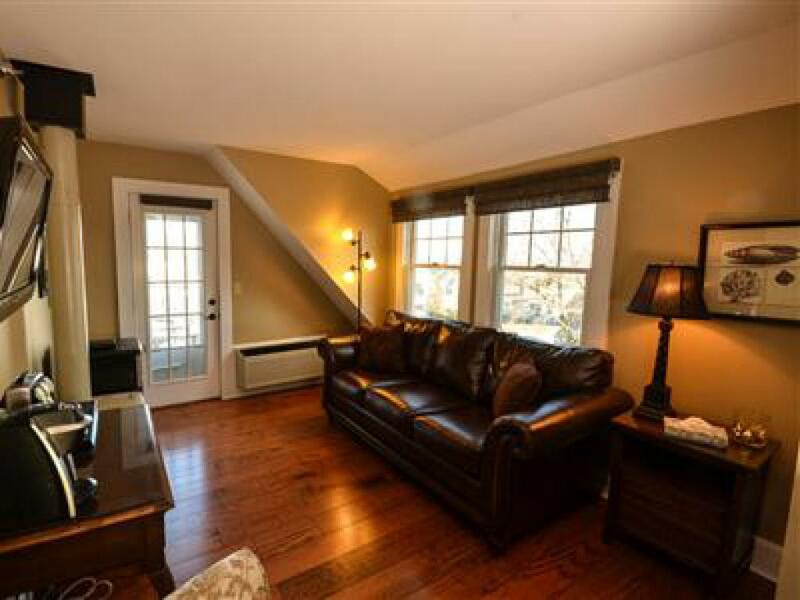 King 4 is a very bright second story room overlooking shore road. King 7 is a spacious King on the top story of our three story Victorian Inn. Admire the ocean from your own small private deck with bar table and chairs. 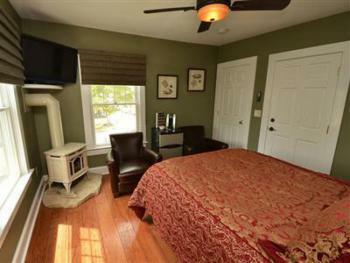 This Combination living room, bedroom semi suite gives you the opportunity to be very at home in your room. 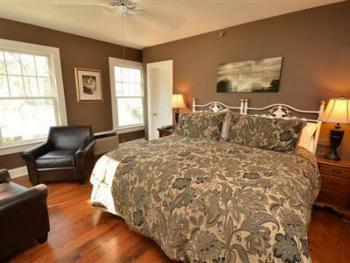 King Suite 8, is the nicest room at the Nellie Littlefield Inn & Spa. 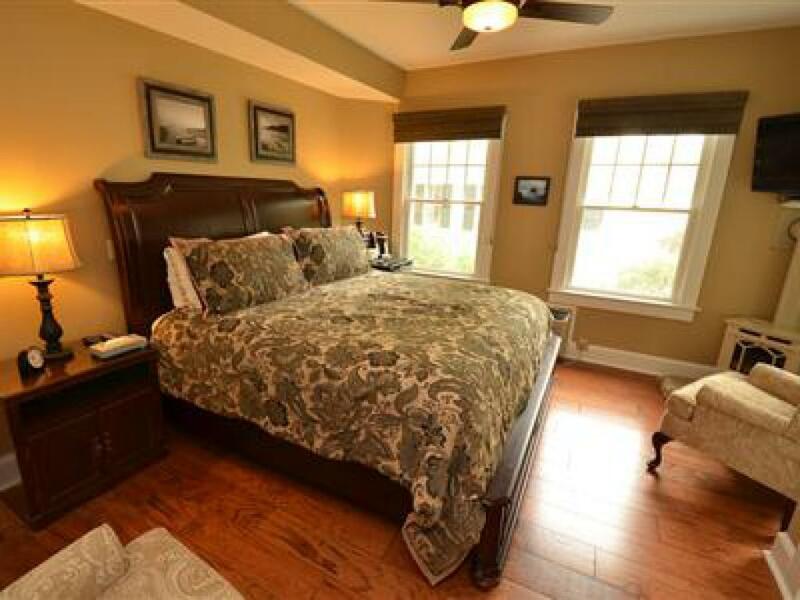 Treat yourself to this generously sized suite on the third floor. This suite includes a king bed with fireplace in the bedroom, with an adjoining living room also with a fire place, wine cooler, full sized couch, and comfortable chairs. 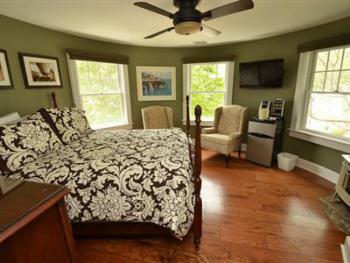 This room also has a large private ocean view deck with lounge chairs to soak up the sun. Queen two is a quiet room in the back of the house on the second floor. 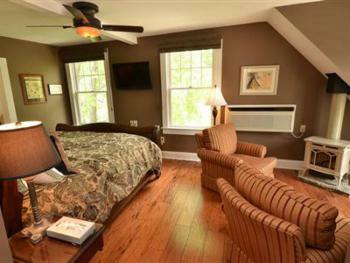 This room also has a small private deck. 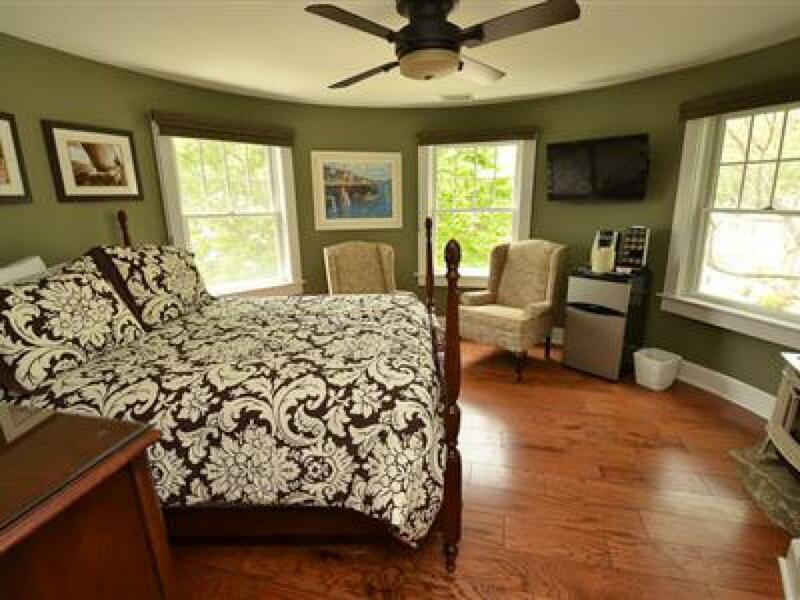 Queen 5 is a bright sunny, second story room with town and shore road view. Queen 5 has a large spacious private bathroom. Queen 6, we also like to call the turret room, is in the third story turret of this historical victorian, this gives the room a unique round architecture. This room is very bright on the third floor with a town and shore road view. 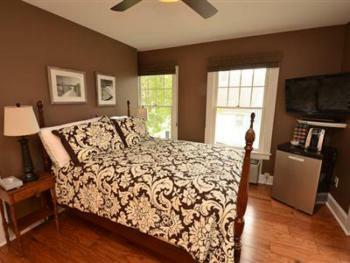 8 newly renovated, air conditioned rooms Queens, Kings and suites available. Large complimentary breakfast buffet in the dining room is served. In-Room Cable/ LCD TV/VCR/DVD, Movie Library convenient location, walk to beach, shops, restaurants. Ogunquit Beach named in the top 25 of the United States 2013 Trip Advisor. 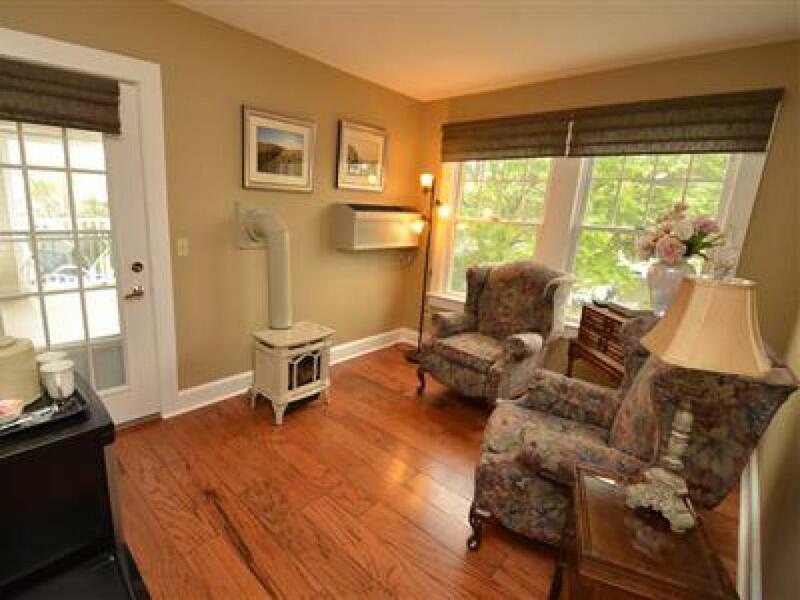 Jetted sitting pool/hot tub, Ocean view pool access at 2 Village Square Inn mid May - mid September Fitness Center, Spa with Sauna, Steam, Two Massage rooms, couples and singles.